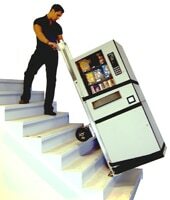 Should I Order White Glove Delivery Service With My Vending Machine? 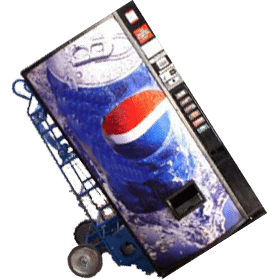 A common question we receive from our customers is how the delivery of the vending machine will happen after buying a new vending machine. This blog post will go over the different options. You can then make an informed decision regarding the type of delivery you would like. At The Discount Vending Store, we offer a flat-rate curbside delivery. This involves getting the machine off the truck and dropping it off at your doorstep. This is the cheapest way to go. 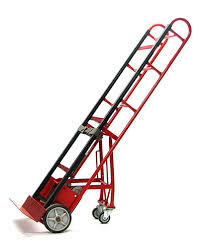 It does require you to be ready to move the machine inside with your pallet jack or dolly. 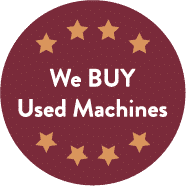 If you don’t want to move the machine yourself, then you may want to order an inside delivery or white glove delivery service. Both of these would cost a little bit more money but provide a less arduous experience. If the desired location of the machine is just inside the main doors, and you don’t have a dolly or pallet jack available, then you may want to order an inside delivery. The inside delivery option will typically add approximately $50-150 to the order depending on the carrier. The carrier typically won’t bring it inside and down the hall into the break room, but can get the machine just inside the main doors. This service will also not get the machine off the pallet. That would be up to you still. When ordering an inside delivery, it’s important to measure the opening of the doors to ensure the pallet will fit inside the door. Most machines are shipped on a 40” x 48” pallet so the doorway must be larger than 40” in order to accommodate the pallet. When freight is delivered to a residential address, inside delivery means the carrier will move the machine into the garage. Drivers will not take freight inside a home. White glove freight services White glove freight services offer the highest level of service and support. They also cost the most! 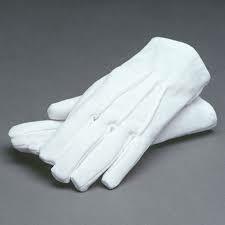 Typically, white glove service costs between $300 and $500 dollars above the normal freight charges. White glove services will transport your item to the destination of your choosing. Including inside the building. They will unload and bring the item to the exact location you want it. You don’t need to lift a finger. These services are beneficial when items are too bulky or heavy for one person to move. They are also good if you don’t have anyone to help you place your item where you want it. All packaging materials, blankets, and garbage are removed from your home or business. When using this specialty service, you receive VIP treatment. The courier will arrange a multi-person inside delivery. Lift gates are available when needed as well. Do It Yourself If you should choose the standard curbside delivery, you would be choosing the most economical option. However, you would need to be prepared to move your machines with a pallet jack or a dolly. Uline sells a great pallet jack for around $300. It is narrow enough to maneuver but still sturdy enough to handle moving vending machines. This makes moving the machine really easy. The hardest part would be just getting the machine off the pallet which is a two-man job. This is best accomplished by gently “walking” the machine off the pallet. With one person on each side of the machine you can tip the machine and twist it, inching it off the pallet. Be careful not to let the machine fall over or on top of you as that wouldn’t be healthy for you or the machine. If the machine is tipped more than 20 or 30 degrees, it is best to allow it to sit for a couple of hours before plugging it in. Allowing it to sit for twenty-four hours would be ideal, if possible. To summarize, an inside delivery means the LTL carrier will deliver into a residential garage, but not inside the residence. If it’s a business, the carrier will deliver it inside of the storefront as long as the doorway is large enough for the 40” pallet. A white glove service means a courier will properly place the vending machine inside the breakroom or it’s desired location, unpackage it and remove the packing debris. 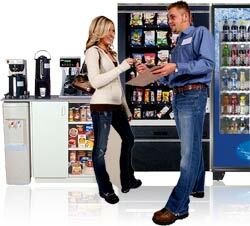 Knowing your options when getting your vending machine delivered can save you a lot of time, money and hassle.